Nurse Claudia (guest star Demi Moore) takes her job to a new level, when she kidnaps Lucious. To find him, Cookie must race against time and use the skills she learned in prison to rescue him. 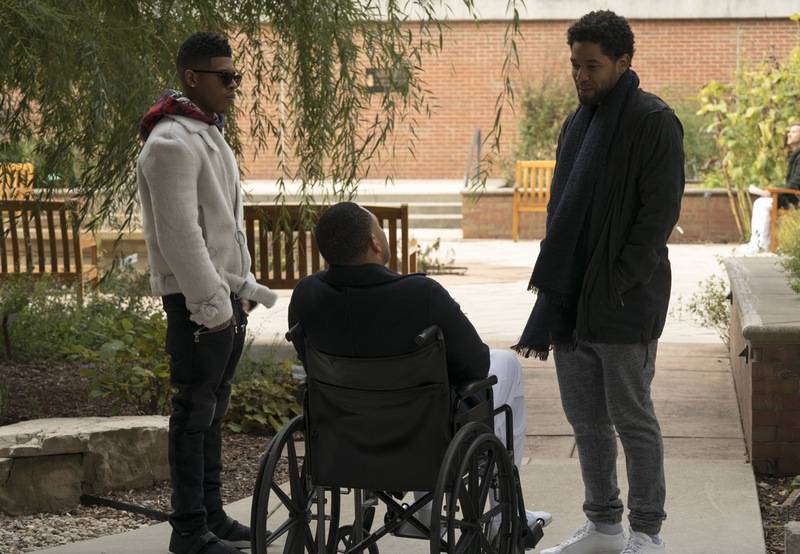 Meanwhile, Andre, Jamal and Hakeem pick up the pieces from their battle with the Dubois family. Cast: Terrence Howard as Lucious Lyon, Taraji P. Henson as Cookie Lyon, Bryshere ‘Yazz’ Gray as Hakeem Lyon, Jussie Smollett as Jamal Lyon, Trai Byers as Andre Lyon, Gabourey Sidibe as Becky Williams, Ta’Rhonda Jones as Porsha Taylor, Andre Royo as Thurston “Thirsty” Rawlings, Rumer Willis as Tory Ash. Guest Cast: Demi Moore as Nurse Claudia, Forest Whitaker as Eddie Barker, Ptosha Storey as Chyna, Da’Vine Joy Randolph as Poundcake and James Colby as Burleson. Air Date: Wednesday, March 28 (8:00-9:00 PM ET/PT) on FOX. EMPIRE: "Birds in the Cage"